The Visual Science Lab / Kirk Tuck: Most interesting musical instrument at Eeyore's Birthday Party. Most interesting musical instrument at Eeyore's Birthday Party. I wish I had been able to also show the front of this dress because the whole thing was pretty amazing. 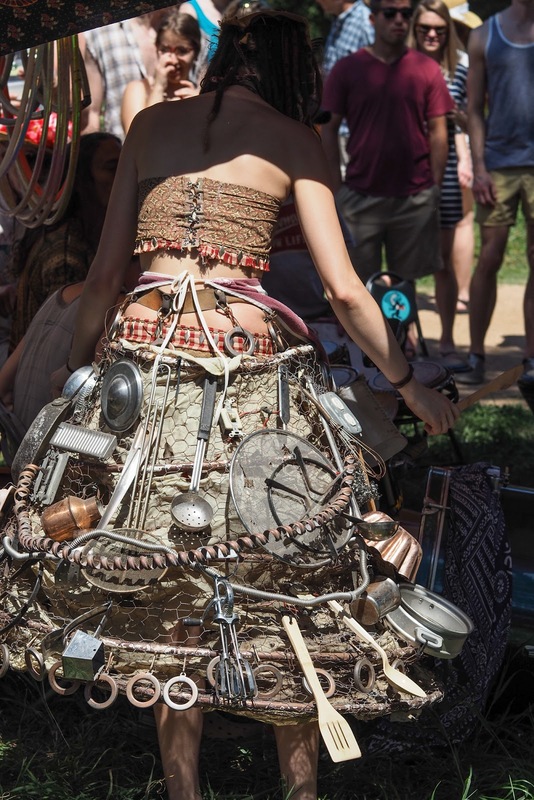 The woman who wore it also played it, as a multi-faceted percussion instrument, with drumsticks to actuate the different sounds. 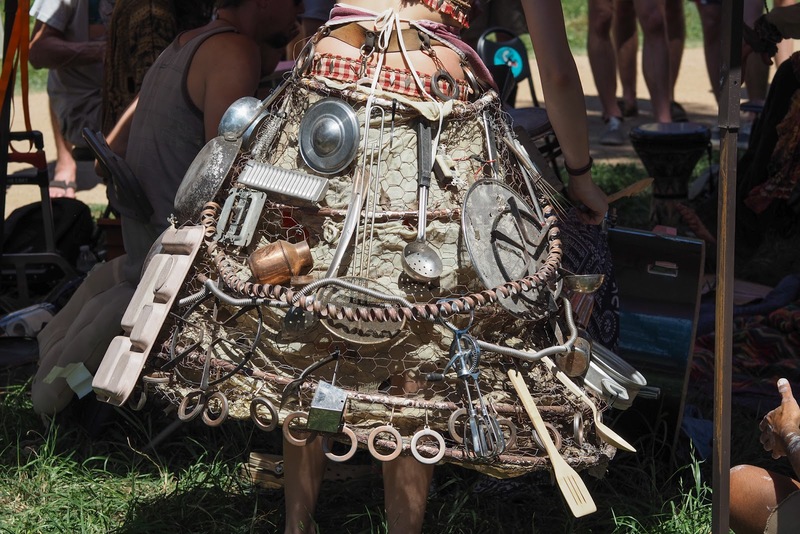 It was kinetic fashion at its best. Shot with the Oly EM5.2 and the 60mm Sigma dn. Our own Philly area kind of weird (besides some places in Center City) is the Philadelphia Folk Festival. I haven't missed a year of it in the last 33. The Whole Foods in Austin is amazing. Pretty good "record" store across the street,too.